Hot cocoa is such a fun staple to have in your home during these cold winter months. My kids will spend hours playing outside in the snow and the first thing they ask for when they come inside is some hot chocolate! Back in my “spender” days I use to buy hot chocolate mix at the store like it was nobody’s business! Once I started learning how to save and live a frugal life I learned how to make hot chocolate mix from scratch and I have never looked back! Not only does making your own hot cocoa save you money, it is also so quick and easy to do. It also tastes much better than what you will buy from the store! Combine all ingredients and mix well. Store in a tightly covered container. To make hot chocolate: Stir 1/4 cup mix with 3/4 cup boiling water. Enjoy! We usually make this mix for our family to enjoy all winter, but it would also be a really frugal christmas gift for friends and neighbors. 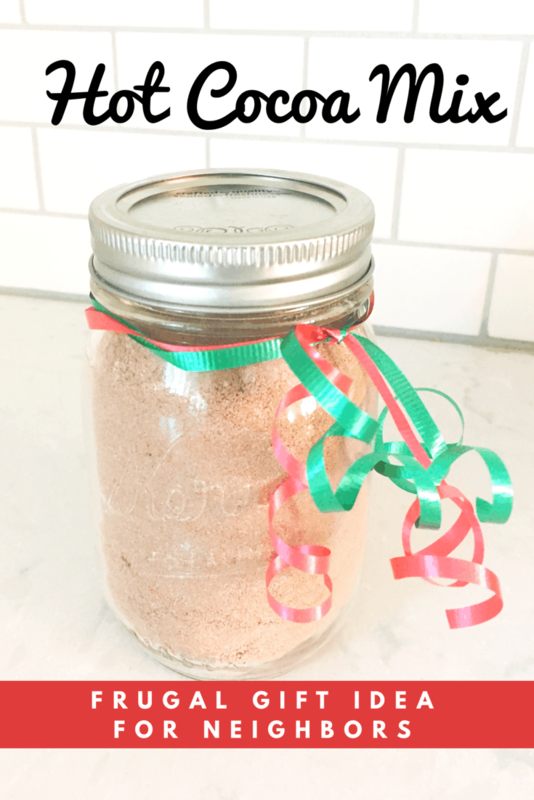 Whip up a large batch, portion it into cute jars and tie a bow around it. Done! I love the idea of gifting this to friends and neighbors. This would be so sweet in a little basket with some cookies. Yes! I love that! Darling idea! This is a great idea! I have some ball jars and was looking for something to give in them. This would be perfect. I didn’t realize it would be so simple to make my own hot cocoa mix! Thanks so much! Mmm this sounds awesome! 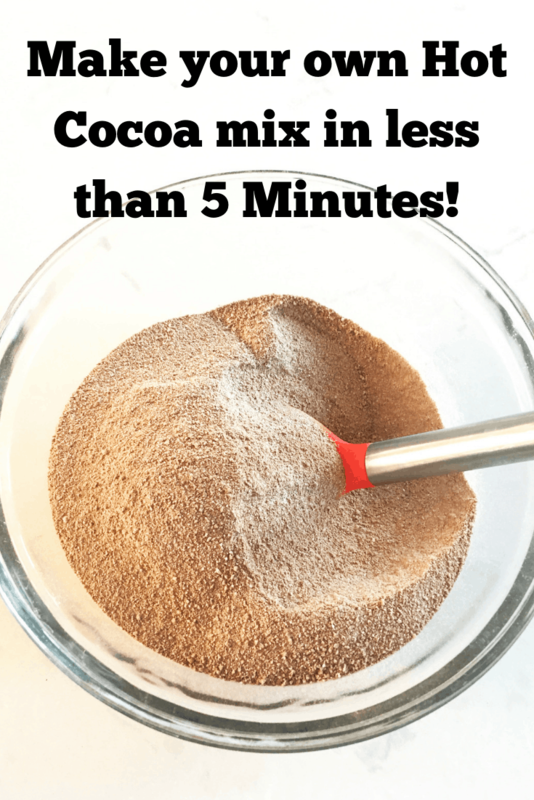 So much better than store bought cocoa mix~! Yes! It’s so easy too! Oh I love personalized DIY gifts like these, and this is the perfect season for both gifting and hot chocolate, will be pinning this idea. This is such a fun idea to do with kids. I’m not very DIY friendly but this is so simple I may need to try! It is so easy! You will rock it!